The newly opened luxury hotel in Bonifacio Global City, the Grand Hyatt Manila invites guests to experience a fun-filled weekend affair with new beginnings and start new traditions with the exceptional Hop-over Brunch Buffet, an adventurous Grand Easterland party and egg-hunt activity, as well as a special Easterrific Staycation offer extended to all guests. On Sunday~ April 1, 2018, the Easter bunny begins a brilliant brunch tradition as it merges the scrumptious offers of The Cellar with the fresh and abundant spread of The Grand Kitchen. The mouth- watering food crawl of Executive Chef Mark Hagan, aptly called the Hop-over Brunch Buffet, is available from 11:00 AM – 2:30 PM for PHP 2,400 nett per person. The restaurant concept allow diners to experience a culinary journey that begins with the appetizing charcuterie, cheeses and small plates of The Cellar at 11:00 AM and then flows into the mother of all kitchens, where a selection of flavorful dishes and cuisines are served ala minute, fresh, hot and customized to guests’ liking. An additional rate of PHP 600 nett indulges guests to unlimited pours of red and white wines as well as the signature Grand Hyatt Manila House Lager, while champagne drinkers are treated to a 50% off per bottle of bubbly. Children are invited to put on their best Easter-themed hat and head out to the Garden Pavilion from 9:00 AM – 11:00 AM for the exciting Grand Easterland bash, where they can enjoy different activity stations to keep them entertained as they discover happy moments with Hershey’s chocolates. For PHP 1,500 nett, little tots may enter the Easterland where the fun begins with an array of tasty munchies and drinks, and continues on with stimulating booths such as arts and crafts, face-painting and cupcake decorating to name a few. The adventure continues on to a traditional egg-hunt where prizes will be given away together with the best Easter Hat award, a couple of amazing raffle prizes including an Easterrific Staycation at Grand Hyatt Manila and yummy Hershey’s-filled lootbags for all egg-hunters. To continue the celebration of the well-loved Easter holiday, the luxury hotel in Bonifacio Global City extends a special staycation rate from now until 6 April 2018. Without having to leave the metro, families may enjoy a resort-like escape by relishing the serene and breathtaking sunset-view from the panoramic windows of the rooms, or by spending a family-day under the sun, frolicking in the vibrant turquoise infinity pool at the outdoor space on level 6. Under the Easterrific Staycation offer, the classy yet cozy Grand King room may be availed for a minimum of two nights, at a special rate of PHP 9,500 ++ inclusive of buffet breakfast for two adults and two children five years old and below. 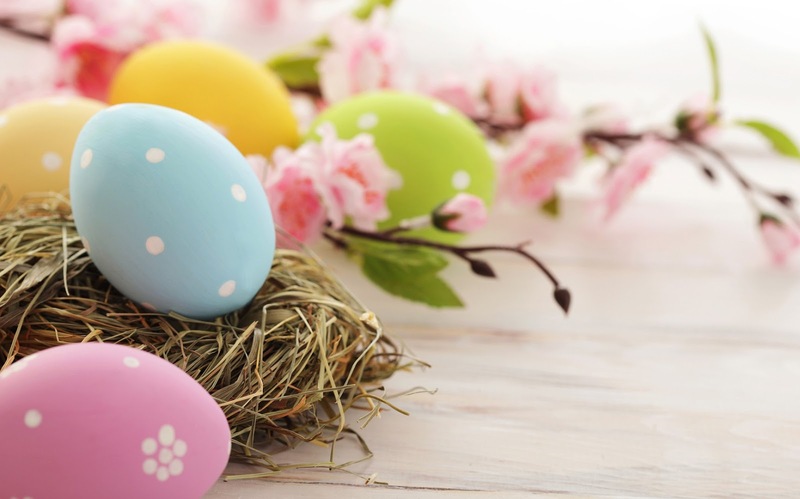 Grand Hyatt Manila welcomes new traditions for exceptional Easter celebrations. Grand Hyatt Manila is located at 8th Avenue, corner 35th Street Bonifacio Global City Taguig. For reservations or inquiries, please call +632 8381234 or email manila.grand@hyatt.com.